Following the final nod by the Department of Telecommunications (DoT) on the merge between Vodafone India and Idea Cellular, analysts predict that the combined entity might have a difficult time maintaining its average revenue per user (ARPU) data customers. This might happen due to the entity’s failure of making comparable capital expenditure infusions to enhance the 4G network capacity against Reliance Jio and Bharti Airtel owing to the now largest telco in India’s high leverage and sizeable combined debt levels. Swiss financial services firm, Credit Suisse said that a company that is highly leveraged has the chance of facing even more debts than equity because leverage itself is an output of using borrowed money. “The Vodafone-Idea merged company will find itself constrained to invest in the business on account of high leverage,” Suisse said in a note, as reported The Economic Times. On the other hand, brokerage JM Financial, expects the Vodafone-Idea entity to start operations with a net-debt estimated at Rs 1.15 lakh-crore on Day 1 itself, especially with Idea’s financial condition facing constant degradation ahead of its final moments of merge with Vodafone India. We had reported earlier that Idea Cellular had reported a Rs 263.6 crore net profit in the June quarter of the current fiscal of 2018-19. However, this profit is a result primarily due to a one-time exceptional gain from the sale of its captive towers business to American Tower Corp. Technically, without this one-time help, the telco giant would have faced a massive net loss, considering it showed a 34.5 per cent sequential decline in earnings before interest, tax, depreciation & amortization (EBITDA) to ₹659.5 crore in the April-June quarter, analysts said. Additionally, Idea shares dropped more than 6 per cent at Rs 54.90 on the Bombay Stock Exchange (BSE) on Tuesday – a day after the company recorded a weak operational performance in the June quarter. American financial services company, Jefferies said that the capital expenditure levels of the Vodafone-Idea combined entity would have to bring about a hike on their network eventually to match the network of its competitors – Jio and Airtel. Idea’s modest capital expenditure in April to June period (first quarter of the current fiscal year) stood at a mere Rs 980 crore in comparison to Airtel’s Rs 8,200 crore and Jio’s whopping Rs 17,000 crore in the same quarter. The firm added that the combined ARPU of both the telco majors is expected to experience a sharper fall due to them losing postpaid subscribers. Financial analysts predict that Vodafone-Idea merged entity’s immediate cumulative funding requirements will be at Rs 10,000 crore along with its debt repayment commitments. 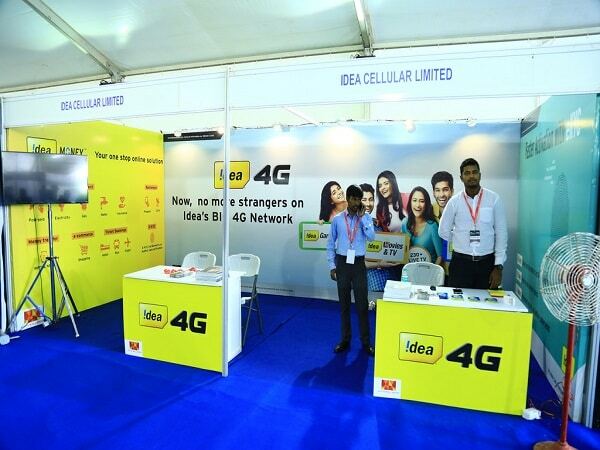 Suisse noted that Idea’s stagnant 3G/4G subscriber base that reported 1.1 million net increase on June quarter in comparison to Airtel’s 3 million and 9 million for Jio, must be looked upon and taken care of. The combined Vodafone-Idea shoul have to deploy 4g in bands 41 asap.